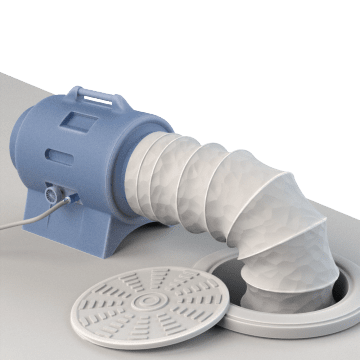 Connect these fans and blowers to compatible ducting to circulate fresh breathing air in tunnels, tanks, and other tight spaces. They help ventilate stagnant air and hazardous gases that can harm workers. Portable axial fans are generally quieter and lighter than centrifugal blowers and are suitable for use with shorter ducting runs. 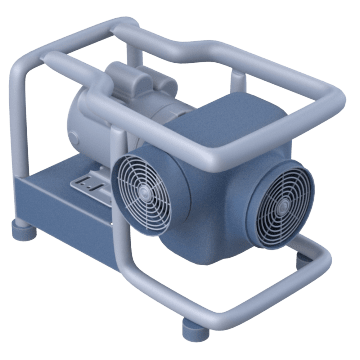 Intended for use in hazardous confined spaces where sparks and sources of ignition are prohibited, these axial fans bring ventilated air into confined spaces without igniting gas, dust, or vapor in the space. 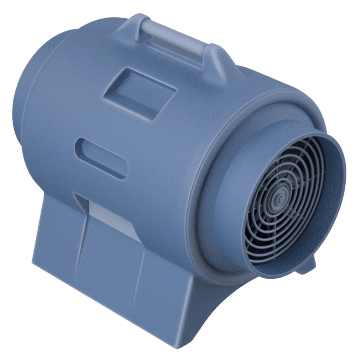 Also referred to as explosion-proof fans these portable axial fans are generally quieter and lighter than centrifugal blowers and are suitable for use with shorter ducting runs. 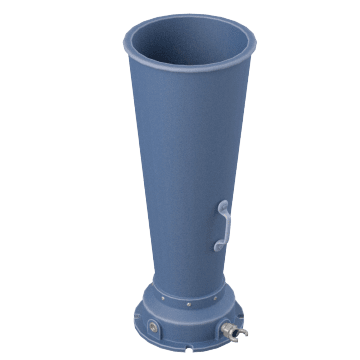 Connect them to ducting that is also rated for use in hazardous locations. Powerful centrifugal blowers can blow air farther than axial fans, making them ideal for use with long ducting runs. Centrifugal blowers are generally louder and heavier than axial fans. Vent dangerous fumes or gases from tanks, manholes, and other confined spaces using these venturi blowers. Also called air horns or eductors, venturi blowers have no moving parts and can be used in hazardous locations where sparks and sources of ignition are prohibited.